You must be a member of Daffnet.org in order to create Posts. You may join by hovering your mouse over “Login” on the green menu bar, and click on “Register” to display the Registration page. Complete the form and click on “Register”. The registration process requires your name and verifiable email address and approval by a Daffnet.org Administrator. In the upper left corner, place your mouse cursor on the “+ New” selection, on the top menu bar, then mouse-click the choice “Post”. You will now see the “Add New Post” screen. Enter your subject in the area titled “Enter title here”. Enter your message in the large white box under the gray title bar, which has one or two rows of icons and the tabs “Visual” and “HTML”. Find the “Categories” box to the right and check one or more of the categories that represents the content of your messages. If you want to add a photo to your message, press the enter key to start a new line. The photo or photos will appear where the cursor was last placed. Click on the “Add Media” icon above the text format bar. When clicked, the “Insert Media” screen will open with a panel of your photos already loaded. Click on “Upload Files” and this will open a large box to either drag photos to or browse and select. The specific methods of selecting photos depends on which Web Browser you use. There is a file selection process which will be typical for your PC, MAC, tablet, etc. In all cases you are selecting a photo file on your PC, then dragging it to the Daffnet upload media window. You will see the “Drop files here” window for modern web browsers, however old versions of Internet Explorer will show only a “Select Files” window instead. It really doesn’t matter if you drag it or select it, because the photo file is auto uploaded to Daffnet. Click “Insert into Post” at the bottom of the box. This will take you back to your draft post with the photo inserted in the text box. You can continue this process beginning at Step 6 and load multiple photos that will appear side by side in your post. Note: If you selected more than one photo at the initial load, these will all be inserted into the message as a gallery and you will see one large image icon in your message instead of all the photos. When you are satisfied with your post, publish the entire Post, including the photos, by mouse-clicking the “Publish Button” which looks like this on the right side of your screen. 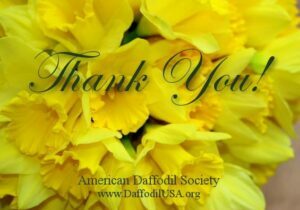 To return to the home page, click on the word Daffnet in the upper left corner. A small excerpt of your message, along with one photo thumbnail (if inserted) will appear on Daffnet.org’s Homepage.